A list of book releases compiled by Dr. Dobb's to keep you up-to-date on software development tools and techniques. New web applications require engaging user-friendly interfaces -- and the cooler, the better. With Flex 3, web developers at any skill level can create high-quality, effective, and interactive Rich Internet Applications (RIAs) quickly and easily. 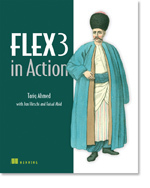 This book is an easy-to-follow, hands-on Flex tutorial. Essential LINQ is the first LINQ book written by leading members of Microsoft’s LINQ and C# teams. Writing for architects, developers, and development managers, these Microsoft insiders share their intimate understanding of LINQ, revealing new patterns and best practices for getting the most out of it. Calvert and Kulkarni begin by clearly explaining how LINQ resolves the long-time "impedance mismatch" between object-oriented code and relational databases. Next, they show how LINQ integrates querying into C# as a "first-class citizen." Using realistic code examples, they show how LINQ provides a strongly typed, IntelliSense-aware technology for working with data from any source, including SQL databases, XML files, and generic data structures. SAP is the world's largest enterprise software company and the world's third largest independent software supplier overall. Throughout the world, high-profile large organizations and governments are using SAP software to process most mission-critical, highly sensitive data. Despite this widespread use, there have been very few books written on SAP implementation and security, despite a great deal of interest. This book is designed for these network and systems administrators who deal with the complexity of having to make judgmental decisions regarding enormously complicated and technical data in the SAP landscape, as well as pay attention to new compliance rules and security regulations. This is the Pickaxe book, named for the tool on the cover. The original PickAxe was the first English-language book on Ruby. Each edition of the book tracks the latest Ruby release, and each is the definitive reference to Ruby. This isn't a third edition. It's technically a separate book, because it reflects all the new features of Ruby 1.9. According to the authors, Ruby is the fastest growing and most exciting dynamic language out there. If you need to get working programs delivered fast, add Ruby to your toolbox.